- API Series 526. Meets all requirements of the API 526. - High Performance Series 441, XXL, 444, 441, Full Nozzle, 458. 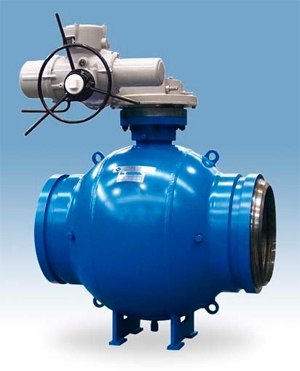 Used for protecting facilities where maximum discharge capacity needs to be reached quickly. 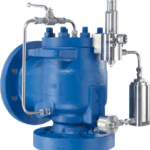 o Higher operating pressure than is possible with regular spring loaded safety valves, as high efficiency safety valves guarantee tightness right until set pressure. 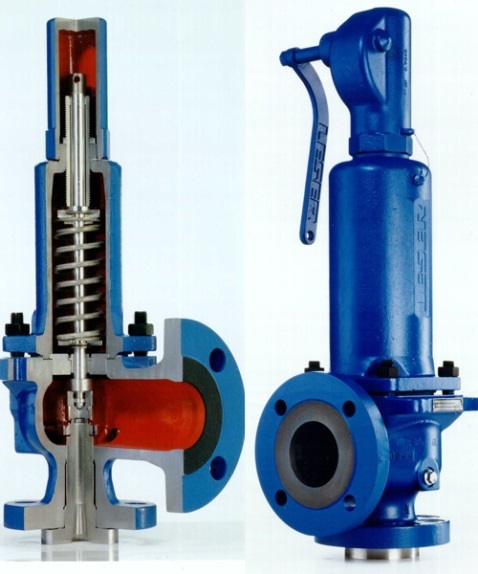 o Lower media loss during blow-off because High Efficiency safety valves have low opening and reseating pressure differences. 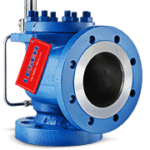 o Safe operation irrespective of back pressure due to the fact that back pressure has no influence on the opening characteristics of High Efficiency safety valves. 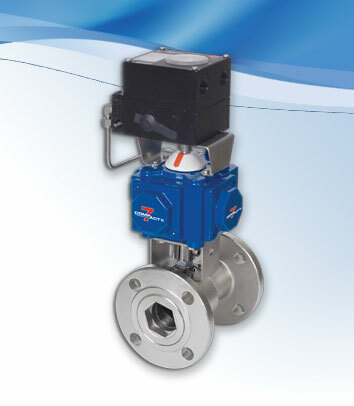 - Compact Performance — Series 437,459.Compact dimensions with a large performance range for its valve size. - Modulate Action — Series 429, 433. Offers solutions for applications with normal and / or proportional opening characteristics (e.g. thermal expansion). - Critical Service — Series 447, 546, 449 (PTFE Lined). Offer solutions for protection from highly corrosive and toxic mediums. - Change-Over Valves — Type 310 and 311 XXL. 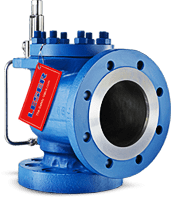 Change - over valves are used to connect two safety valves to a pressure system. One SRV is in operation and the other is on standby. 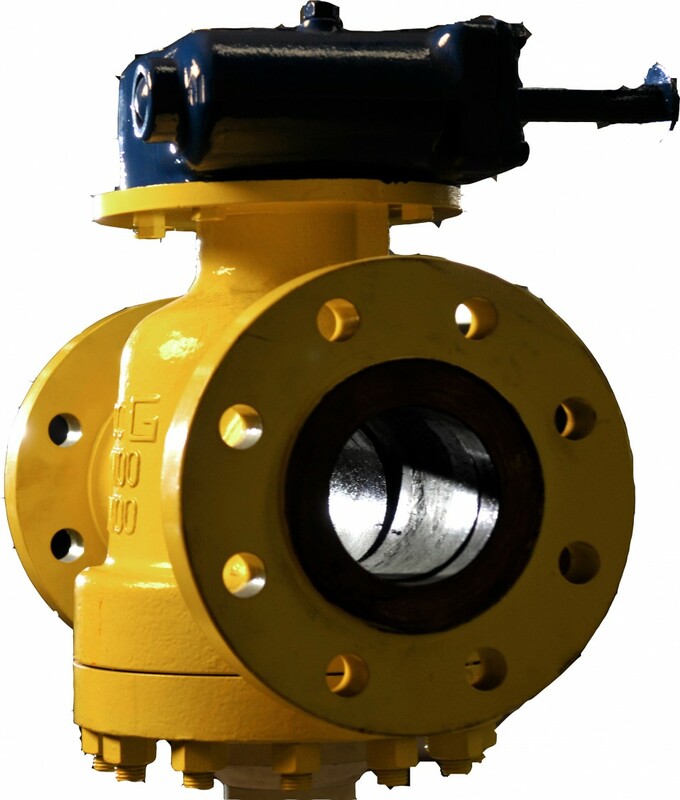 - Safety Valve and Bursting Disc Combination — Series 350. End Connections: Flanged and Screwed (NPT). Sizes: DN20 to DN400 ( ¾ ” to 16”). Orifice Sizes D through T.
Nozzle / Seat Materials: Carbon Steel, Stainless Steel and Exotics. Accessories: Bellow Sealed Options, Soft Seat Solutions, Sizing Program. Standards: Design, Production and Testing: ASME, ANSI, API 526, and ASTM. Quality System: EN ISO 9001:2008, EN ISO 14001:2004. 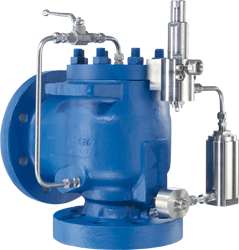 Design Details: Leser Safety Relief Valves benefit from a great variety of types, materials and options to fit any application. 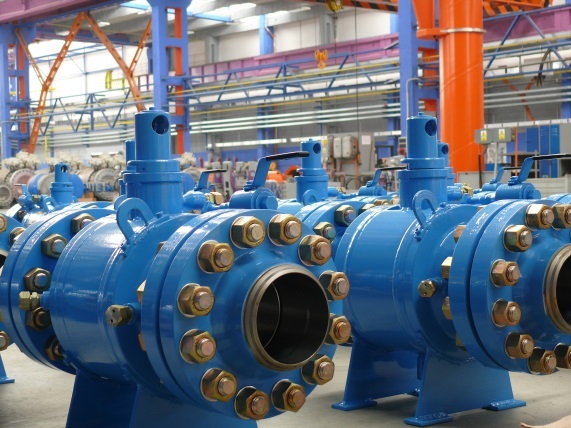 Leser offer standard metal sealing with a single trim suitable for steam, gas and liquid. Soft seat options are available upon request. The Rembe BT-KUB can be used in any gas, vapour or liquid media under the harshest of conditions due to its standard operating ratio of 98%, the tightest operating ratio available in the burst disc industry. There is a range of sizes from 20mm to 800mm. The dual layer material design and range of construction materials offer the greatest flexibility in cost savings while maintaining total corrosion resistance. 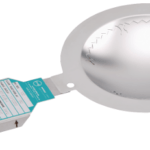 The disc design comprises of an upstream sealing membrane with a smooth unblemished profile meaning no score lines, dimples or indentations. 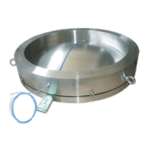 This makes the BT-KUB the ideal disc for aseptic and sanitary applications due to there being no available dead space for bacteria or product accumulation.